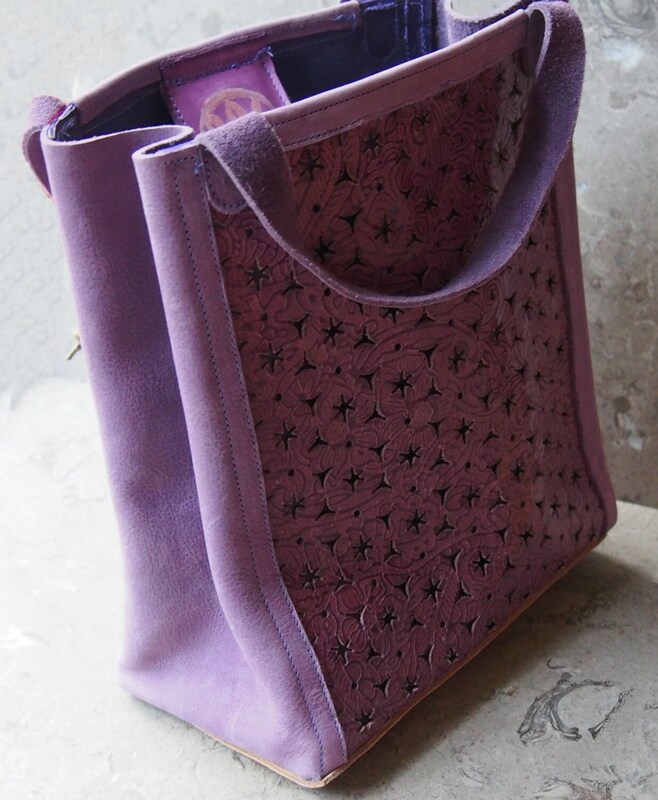 Twist to the old brown lunch bag--this leather version is made with a light mauve/pink nubuck cowhide and center panels of mauve cut-out pattern cowhide layered onto a darker purple. 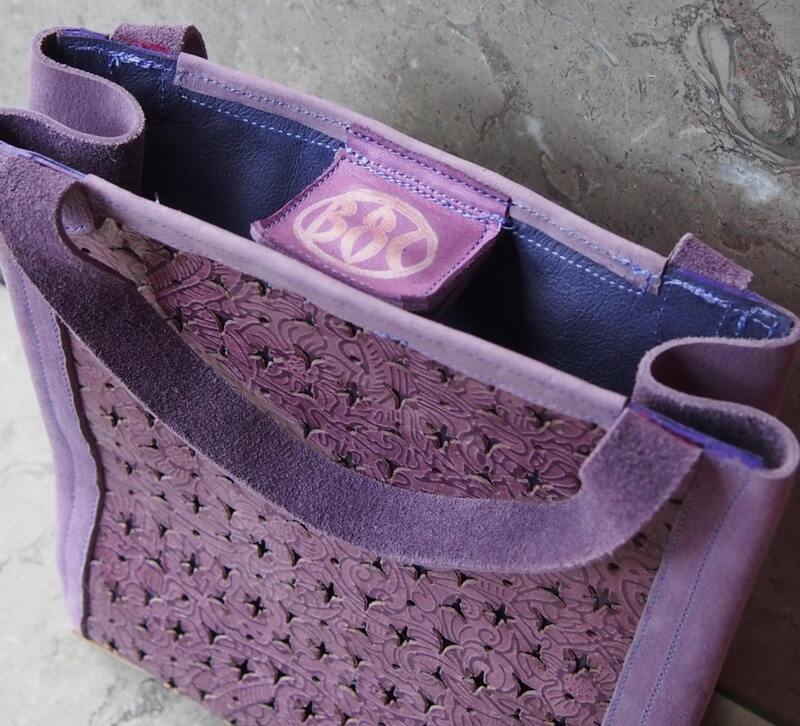 This bag secures with magnetic closures set in mauve-pink smooth leather. It is supple enough to fold reasonably flat, but the leather is tough to handle a range of items you can fill it up with. 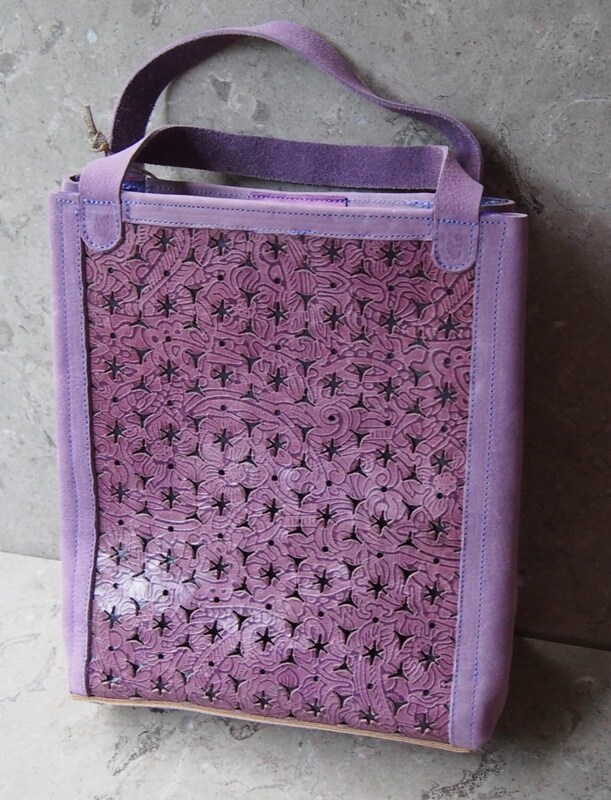 The panels are made with a unique polished thin cowhide in a subtle two-tone mauve & purple color, and that has been commercially embossed and mechanically die cut to create the pattern. 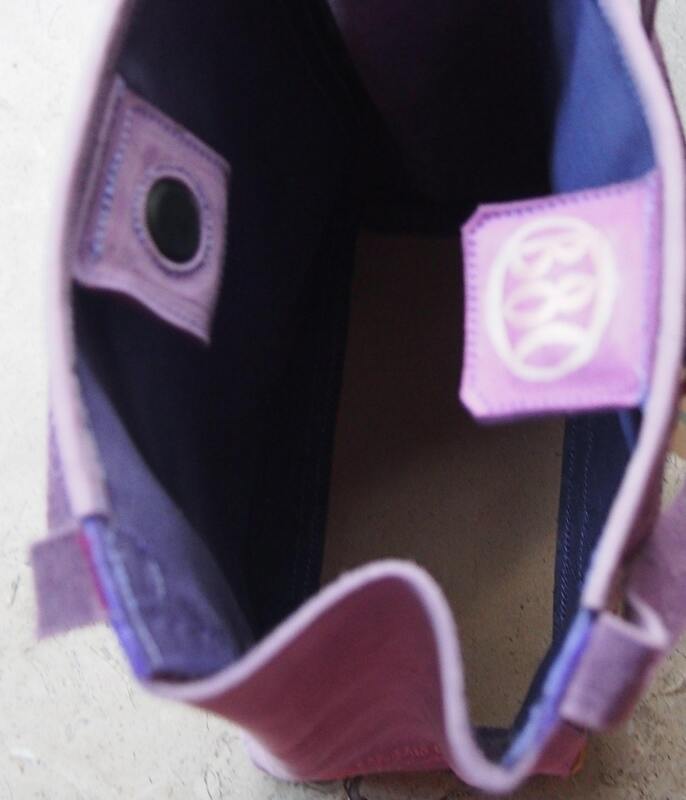 This is layered over a thin dark purple leather, which is light purple on the inside surface. The bottom is a thick and durable parchment colored leather, so it will tolerate a lot of use. This bag is about 4.5" x 8.5" x 10" high to top of bag, with about 6" space for the 3/4" wide handles. Perfect for use for your lunch, or as a purse, or small tote for variety of small craft items!